T he changing of the calendar means winter is in full swing and for those of us that reside in warm weather cities an opportunity to pull coats and accessories out of the closet that have been in there for most of the year. In most cities they aren’t as sequestered, just tucked away deep on one side of the closet or another. In any case now is the time to break them out as well as some the accessories to complete the look. Along those lines accessories work the best when they add functionality and one of the best in this category are scarves. Of course they can be used to shield the cold but even if the climate isn’t pushing the freezing barrier wind can be a bit uncomfortable sometimes and they are also ideal for that. Rarely is there an accessory that is as versatile, functional, and stylish. So we wanted to break out the wool, channel our inner Marlon Brando, and look at various styles and ways scarves are being worn today. As we normally do, let’s go into the basics first as there are some whom perceive the wearing of a scarf to be effeminate, which couldn’t be further from the truth. 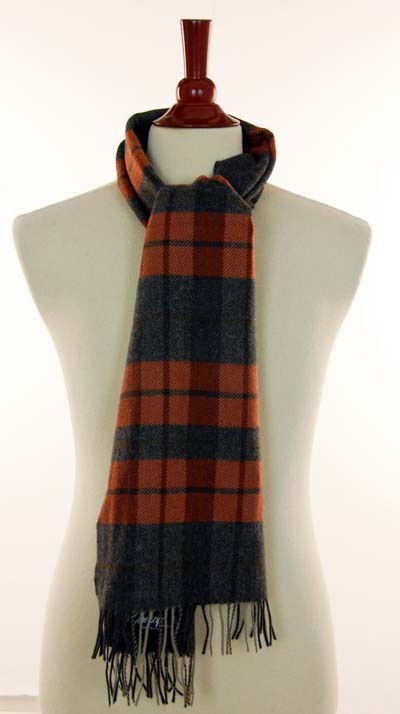 Most men’s scarves are approximately 10 inches wide, 70 inches long, and made from either a solid or patterned cut of cloth designed to wrap around the neck. Although wool is the most fabric from which scarves are typically made, they can be made out of any, such as cashmere, angora, cotton, linen, silk, synthetic materials, or a combination. Weave is very important as bulky scarves made from thick yarns require simple knots and are not as practical. 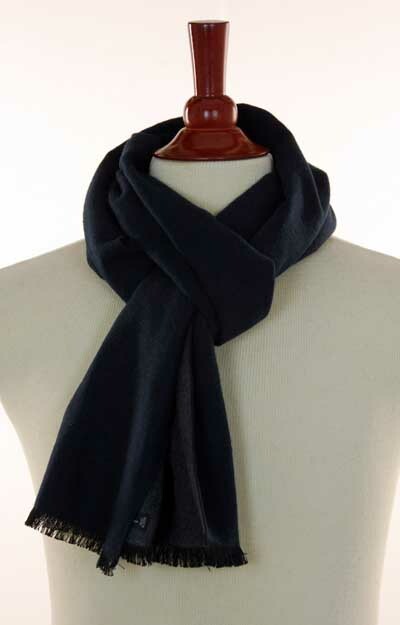 For winter scarves, stick with napped fabrics with a soft surface–you can’t go wrong with wool or cashmere. If you’re looking for a hot weather protective scarf–linen and lightweight cotton are great as are some synthetics designed specifically for this purpose. Any scarf in an animal print, bright pink, juicy magenta, electric blue, salsa picante, fresh tulip…..I think you get the point. Anything that comes with a pin or is advertised to be worn with a scarf pin. Men do not wear scarf pins. Airy, see-through, super-lightweight scarves that could not possibly provide any function (ok, maybe they could act as a tourniquet) and are 100% fashion pieces. Large knitted scarves or scarves that could double as a blanket. Excessive fringes — some tassels in the same color as the scarf is fine, but steer clear of multi-colored pom-pom tips. Elaborately beaded scarves, scarves with sequins, shiny metal trinkets, or scarves with embroidered images of birds, flowers, etc. Keep it simple – only tie knots you are comfortable wearing–confidence is everything. Scarf length & thickness can limit knot style options. A scarf isn’t a necktie–keep it loose. Function first–fashion second. Unless you’re a rock star, so don’t get too outside your realm. In the video below, I cover seven ways to tie a scarf. And in addition to the basic directions in this section, most of the “knots” also have indvidual how-to videos if you want to jump to the directions for a particular one. 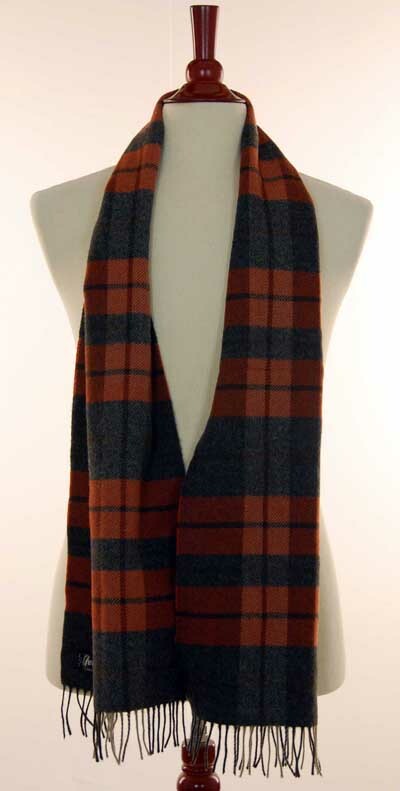 Simply drape the scarf over the neck and the front of your chest under your overcoat. No actual tying happens in this one, so it’s a loose way of wearing a scarf meant more for ornamentation than actual warmth. It works well if you’re wearing a suit or sports jacket with a deep V-shaped front. This is the classic lawyer or businessman’s way of adding a scarf to a suit and tie ensemble. One of the simplest scarf knots you can learn and wear. The only complication is you have to determine how low or high to wear it. Normally it hangs a bit looser around the neck than other knots/wraps, so this style is more show than function. How to tie it: Take the scarf and lay it over your shoulders. Take both ends of the scarf, and tie them “over-and-under,” as if you were starting to do up a giant pair of shoelaces. Adjust the front to be a bit smooth and tighten closer to the neck as desired. The fake knot looks more elaborate than it is. As it’s name indicates, it uses a bit of deception to achieve the desired look. This knot shows up best with a patterned scarf or a scarf with a thicker weave. You can use a medium length scarf here without a problem. How to tie it: Hang the scarf around your neck with one end being twice as long as the other. Tie a loose over-hand knot near the end of the shorter side, leaving about 12-18 inches on the end. Tug the knot apart slightly and slip the other end straight through and tighten to the desired length. A simple tie that is actually one of my favorites. It does a great job keeping my neck warm and can be used with medium length to long scarves. How to tie it: Take the scarf and wrap it once around your neck, leaving two ends dangling in the front. 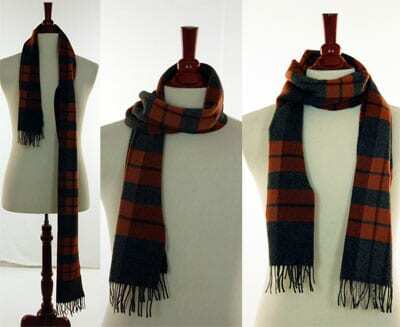 A cold-weather variant of the once round, the twice around scarf tying technique is a great choice for when you have a really long and thin scarf and the weather calls for the warmest wrap you can muster. I prefer my scarves to be at least 72 inches long for this one. How to tie it: Wrap your long scarf twice around your neck, leaving two short ends hanging in the front. Also called “slip” or just “simple” style. This is fast and easy to tie and creates a large, warm knot right at the collar of a coat or jacket, making it a good wind-stopper. 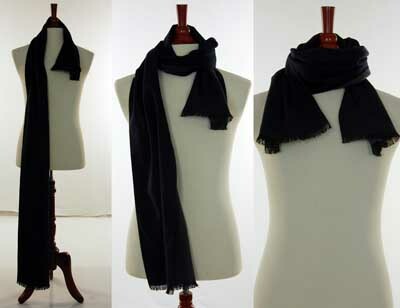 It requires a longer scarf unless you’re using a thinner fabric such as silk. Bulky scarves do not work well as the end knot can appear too large. How to tie it: Fold the scarf in half at the middle so that the ends touch and hold the doubled-over bend in one hand while passing the loose ends around the back of your neck with the other. Tuck the ends through the bend and pull snug. Adjust as needed.